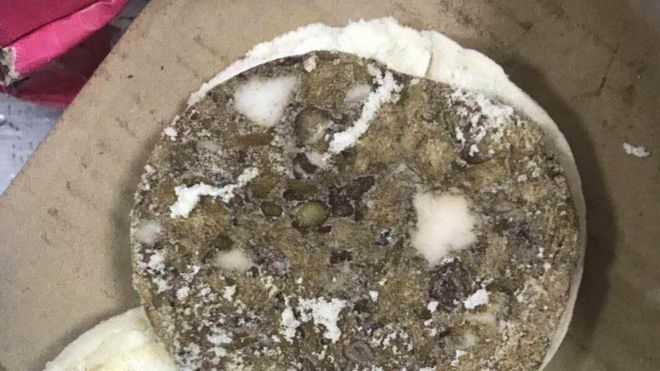 One of China’s most prestigious high schools has been the target of public anger after piles of expired mouldy food were found in its canteen kitchen. 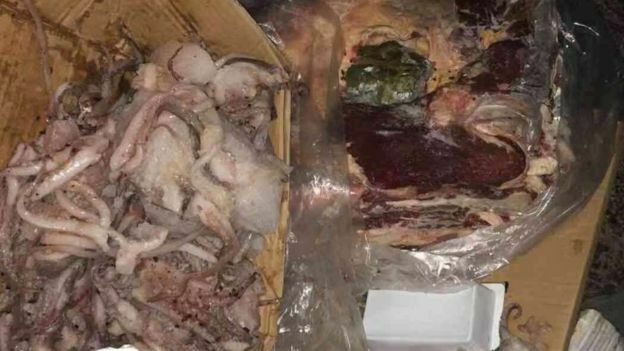 Mouldy bread, rotting meat and seafood were discovered at the Chengdu No 7 Experimental High School. One parent told the BBC of his horror and disgust, saying the food was “stinky and disgusting” and compared it to pig slop. The school has now apologised, saying it is deeply “embarrassed”. Food safety scandals are not uncommon in China and they often leave authorities scrambling to defuse public outrage. How did they discover the food? The scandal first emerged when a small group of parents were on Monday invited to attend a tree planting event at the private high school in Chengdu, the capital city of China’s Sichuan province. 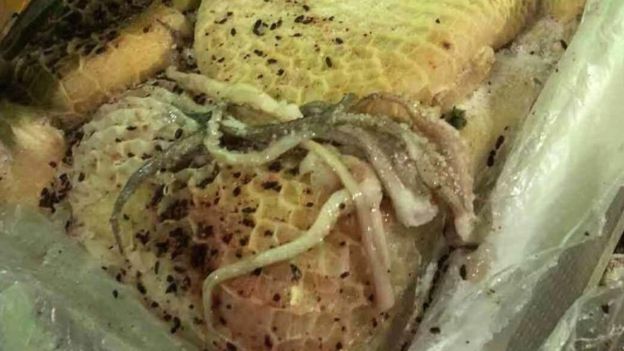 While at the school, a group of parents discovered mouldy bread, rotting meat and seafood items in the canteen kitchen canteen. 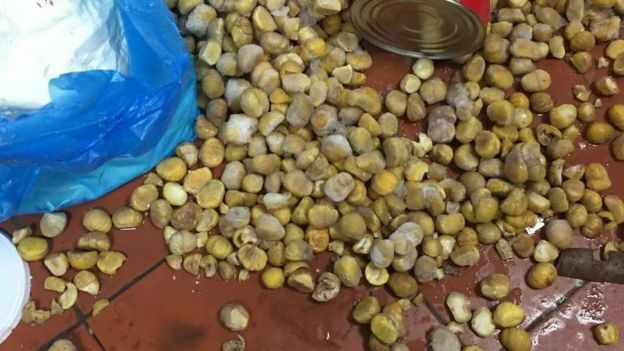 It is not clear why exactly they chose to stop by the kitchen, but one parent that the BBC’s Lulu Luo spoke to referenced an incident earlier last November where numerous school children came down with stomach-aches, constipation and various other ailments. “[The items looked like they had] been in a freezer for years, [it looked] like zombie meat,” the father, who has a daughter and son enrolled in the school said. According to the father, the private school costs 39,000 yuan (£4,380; $5,800) a year – about 20 times the amount a public school would cost. “We don’t even let kids have leftover food at home… I spent tens of thousands of dollars and my kids are having pigwash there,” he said. “I dare not tell my younger son… I’m worried he might not dare to eat canteen food after that. My daughter has been telling me she has a stomach-ache. I [told] her she might have just over exercised. Horrified, the group of parents shared the pictures on social media, which were soon discovered by other parents. According to the same parent, the school immediately transported the mouldy food away in two trucks. One truck was intercepted and stopped by a swarm of angry parents who showed up at the school in protest, he said. 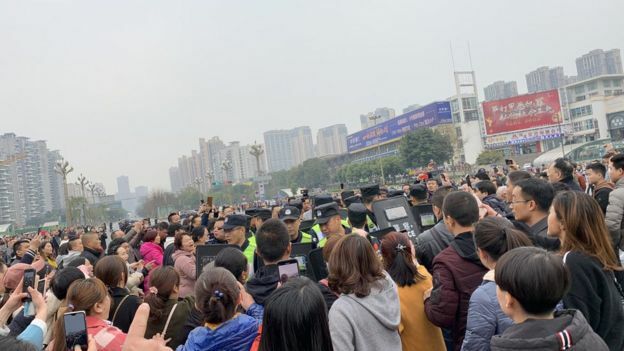 Videos that emerged on social media on Wednesday showed hundreds of parents angrily protesting outside the school gates. Police were seen using brute force against them, with one video showing a group of policemen slamming a man against the ground. In another video, parents can be seen clutching their eyes in pain, with some local news outlets saying police used pepper spray against them. Chengdu police later posted a statement on Weibo saying 12 people had been arrested. It said the parents had “severely disrupted” traffic and insulted the police. They were later released on the same day. People overseas sometimes mistakenly think that there are not many protests in China. Actually, acts of dissent break out quite often and can erupt suddenly. If family members are harmed, especially when under the care of a school or a kindergarten or a hospital, then orderly, calm communities can transform with scenes of anger spilling out onto the streets. Faulty medicine, tainted milk powder, investment scams and perceived abuse of students under the care of teachers have all triggered public anger directed at the officials whose job it is to keep the community safe. If the Chinese Communist Party is not enormously worried about these incidents they have all led to collapse in public faith in the system. If local officials cannot even manage to give school children lunch which is not covered in mould then why should they be trusted with anything? What has the school said? The Chengdu school later released an apology, and said it would stop taking food from its current supplier. The school is one of the most prestigious in China and had in the past been named among China’s “Top 10 outstanding private schools”. 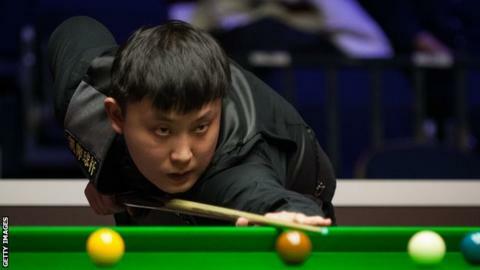 It said that those responsible would be dealt with by the law, saying it was “embarrassed” by the incident and that it would not happen again. However, the parent the BBC spoke to said the case was not an “isolated incident”, saying that the same supplier catered to “over 100,000 students from across 20 schools”. Wenjiang district government – the district in Chengdu that the school is in – issued a statement on Wednesday that said eight people responsible for food safety at the school were being investigated by authorities. It said that 36 students from the school had been admitted into the local hospital for a check-up -all were later discharged. The district government also said that the raw food would be sent for testing, adding that a “comprehensive and in-depth investigation” would be held into the matter. Weeks after some of China’s upmarket hotels were exposed for using the same soiled towels to clean drinking cups and toilets, officials have uncovered another hygiene issue at a mid-price hotel in the country’s northern province of Shanxi. According to the China News Service, the inspection found a number of hotels did not follow hygiene rules to sterilise customer utensils and were also not monitoring air, water, light and noise levels as required. The health inspectors highlighted the case of one hotel in the downtown area, part of the Jinjiang Inn franchise, where clean towels were found stored in the same small room as the rubbish bins. Regulations require that towel cabinets are not placed with other items. Inside the towel cabinet were a box of men’s shoes, half a pack of melon seeds and personal cosmetic products that belonged to hotel employees, the officials said. “These items are probably not clean and can’t be stored with things that have already been cleaned; otherwise there will be cross-contamination,” an inspector was quoted as saying. Officials also found items in the hotel’s sterilising room which should not have been there, and two employees working in the sterile area without the mandatory health certificate. Last month Huazong, an online celebrity in China, uploaded a video in which some cleaners at five-star hotels were seen using the same towel to clean a bathroom mirror, basin, toilet and drinking cups.